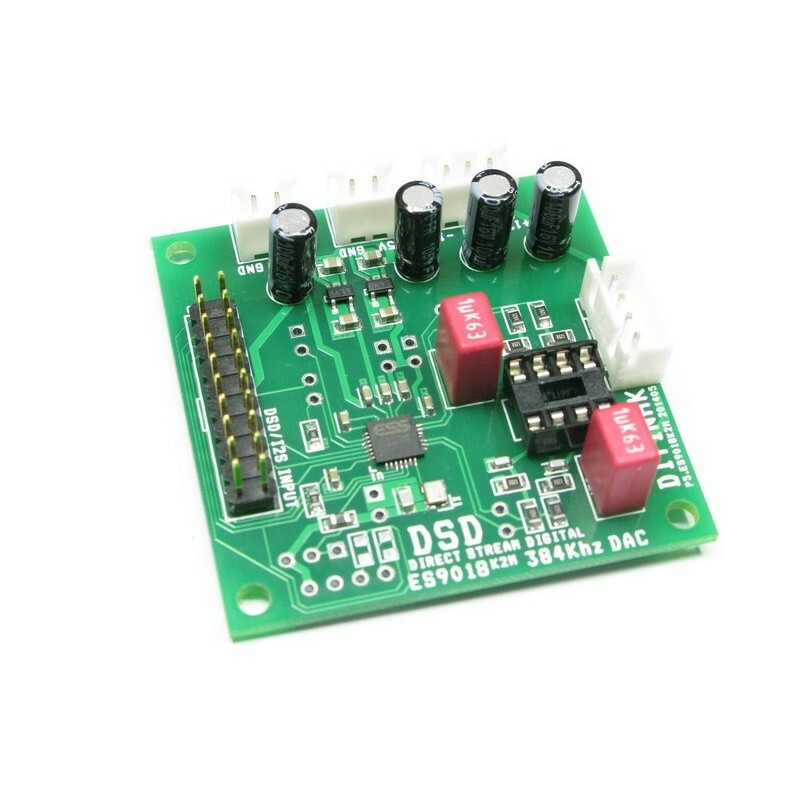 New isolated DAC PCB option. 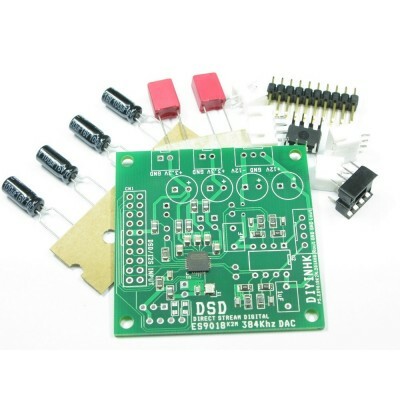 *The single ES9018K2M DAC PCB can be used individually with only 3 wire I2S signal connected from Raspberry Pi, BeagleBone Black, cm6631a, amanero etc. 1)The latest verison of this PCB combo uses one 3.3V (>300mA), one 3.3V (>100mA) and one +-12V (>100mA) regulated power supply in the default configuration. 2)The SPDIF input(labeled SPDIF IN) signal level requirement is 3.3V, it is directly connected to the ES9018K2M DAC chip to achieve lowest jitter performance. It can be used to connect SPDIF optical receiver directly(Toshiba TORX147 or equivalent). If it is used to connect coaxial SPDIF, an interface circuit must be used to convert the standard spdif 0.6Vp-p to 3.3V logic level. 3)For bit perfect playback at any volume when using our customized firmware XMOS ES9018K2M PCB combo, please use the Windows/MAC/Linux OS default builtin system master volume mixer control. Don't use the foobar volume control, it scale/alter the audio data internally. 4)The PCB is designed to be DIY friendly. Diyer can cut the trace and uses the socket labelled AVCC_L(3.3V), AVCC_R(3.3V), oscillator VCC(3.3V) for each to use individual power supply. 5)The differential output directly from the DAC has labelled with preallocated 2.54mm spacing socket for diyer easily connecting to their favorite IV and LPF and bypass the default onboard one. 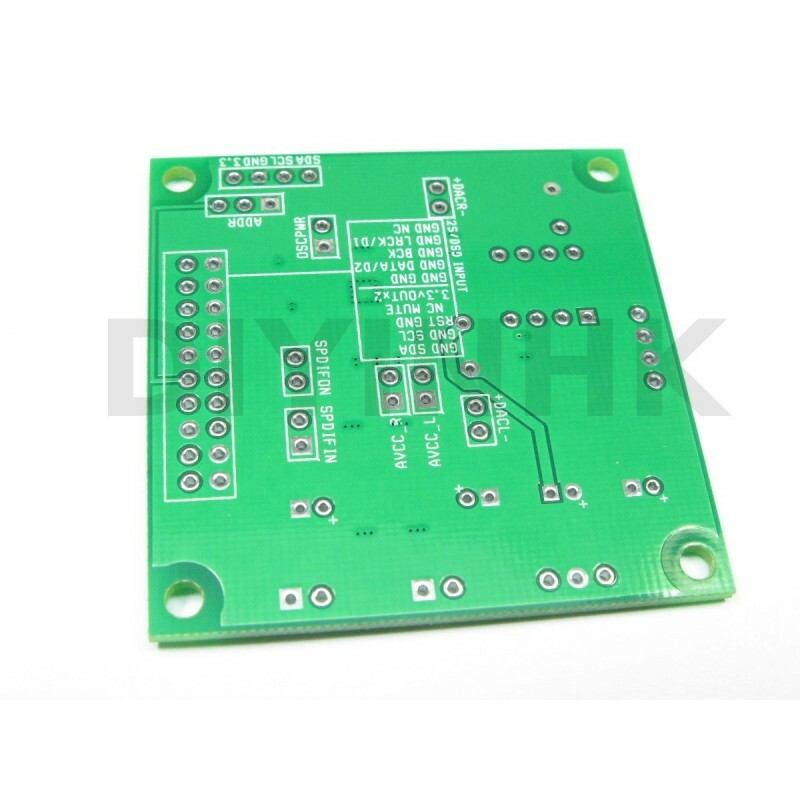 6) All dual opamp in single dip8 package IC can be used for this PCB output stage, such as OPA2134 AD8620 etc. 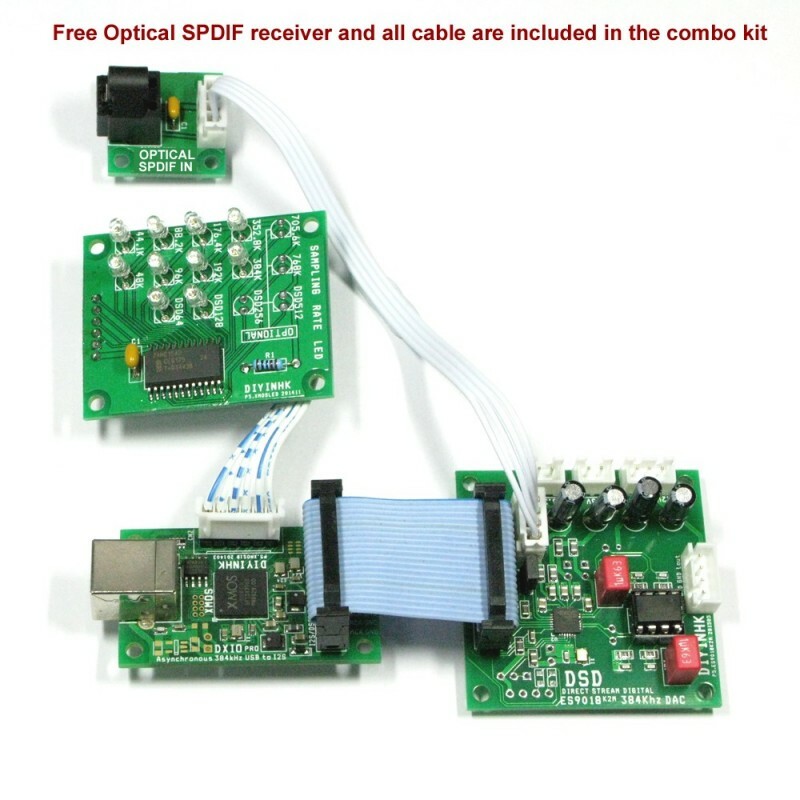 One free opamp is included in the package and the model depends on stock. 7)For Diyer requires more deeper customization, the ES9018K2M datasheet can be requested from ESS authorized distributor directly.